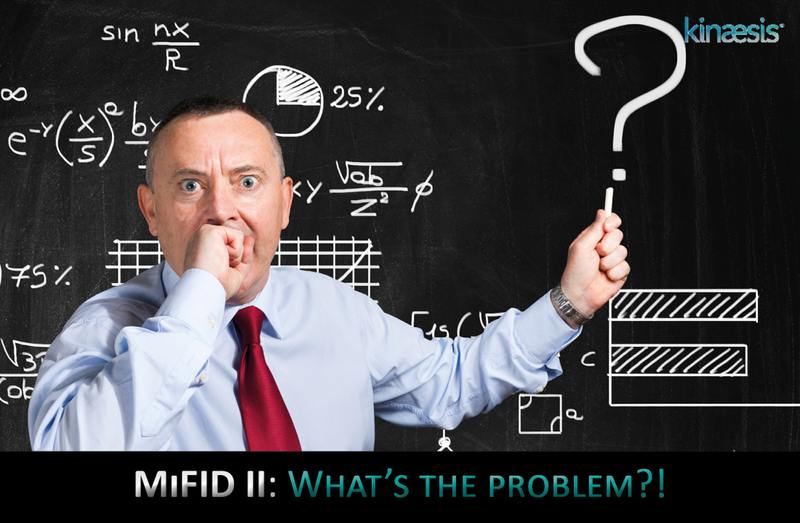 MiFID II: What's the Problem?! As January 2018 looms heavy on the horizon, the investment community from the smallest IFA to the largest Fund Manager and every platform in between is trying to ensure that they are MiFID II compliant. The changes to their operating model are significant and wide ranging. Remember this is against the backdrop of another significant regulation, GDPR, which has to be in place by May 2018. So is it boom time for business analysts, developers and testers as more requirements are identified, developed, tested and implemented? There are certainly some requirements which will need functional changes to IT systems and the ability to capture additional data. However, more importantly do you have this data? Operationally how are you going to get collect it? You could capture it at “point of sale” but this would be onerous, require significant IT changes and could cause a transaction to fail. Additionally, what about ongoing monitoring and if you provide online information for investors, how are you going to ensure that they’ve seen it, as an example? This brings us back to the original question of “What’s the problem?” - there are changes which need to be made around how the whole business will operate including transparency and allocation of costs. This is really the tip of the MiFID II iceberg and it is becoming clear that the changes required are multi-faceted and need a more holistic approach than just throwing IT resources at the problem. The solution lies with the current functional operating model for the organisation. This needs to be adapted to reach the final MiFID II state. Changes made in one area will, by definition, have a knock on effect in other parts of the organisation and may generate new and exciting activities. The overall impact can then be mapped onto a functional heat map of the organisation which highlights pain points. Only once this work has been completed, can decisions be made around whether an issue requires an operational, data or IT change or some combination of all three. A simple example of gathering information around an investor’s profile will require additional information to be captured (application forms updated etc), an IT change to capture it and a data model change to store it. By definition, if you capture information then you need to do something with it! So somewhere further down the line this information will be needed for some purpose. Again this goes back to the operating model which defines how this data will be used and whether it needs to be updated or validated regularly. Does the data have a shelf life? The final decision also comes down to profitability. If a particular activity is too onerous then is the margin associated with this piece of business worth it? If only a few investors have specific reporting needs that are out of kilter to the norm then does this business generate sufficient profit to make it worthwhile to keep them? A sobering thought. As we all prepare for these regulatory changes, remember that IT changes cannot solve everything and an update of your operating model will provide the best long term solution. Kinaesis has worked with many high profile organisations to identify and tailor operating models to meet regulatory needs. Kinaesis also provides MiFID II compliant software solutions for the Product Governance requirements. To read more about our Regulatory work, click here. For more information or If you would like to discuss how we can help your organisation then please contact sales@kinaesis.com.